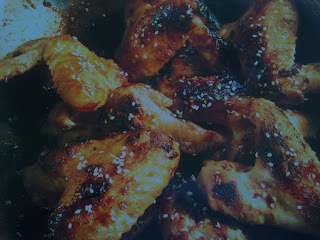 thoroughly rub all the mixture to chicken wings and set a side for 30 miinutes. heat the oil in large frying wok. add soya sauce, honey, garlic ( hoisin sauce) and sesame seed to the wok and stir for few more minute and serve hot. 0 Responses to "honeyed chicken wings"